Friday was an amazing beadmail day. Some things came from Trollbeads and then this adorable package from the German store, Star Bijou. 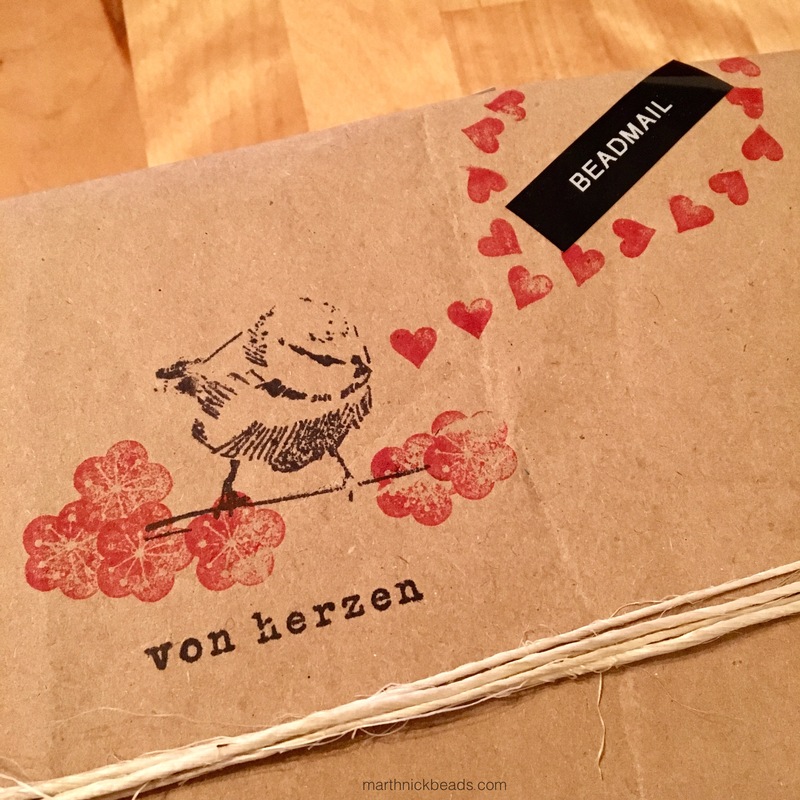 Gabi is known for her clever and creative packaging and I love to see other people’s packages on Instagram and Facebook, as each one seems to be different. She knows I love the term ‘beadmail’, so how cute is this? Today I’ve got some photos of the amazing Dragon and tomorrow will be the Chinese Lucky Coins. 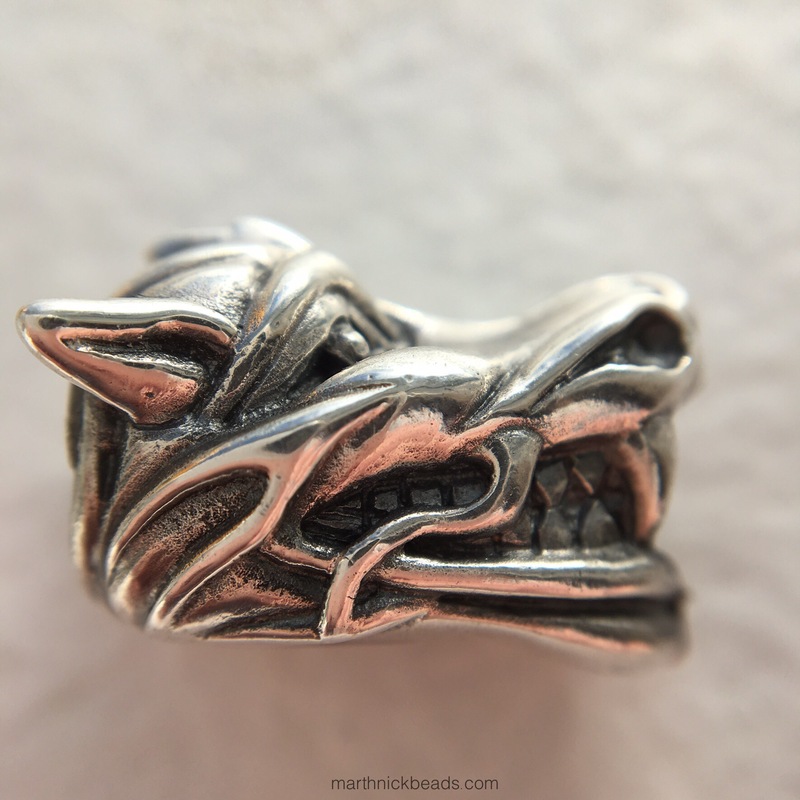 The Dragon comes in a traditional silver finish or a matte finish and is €68. 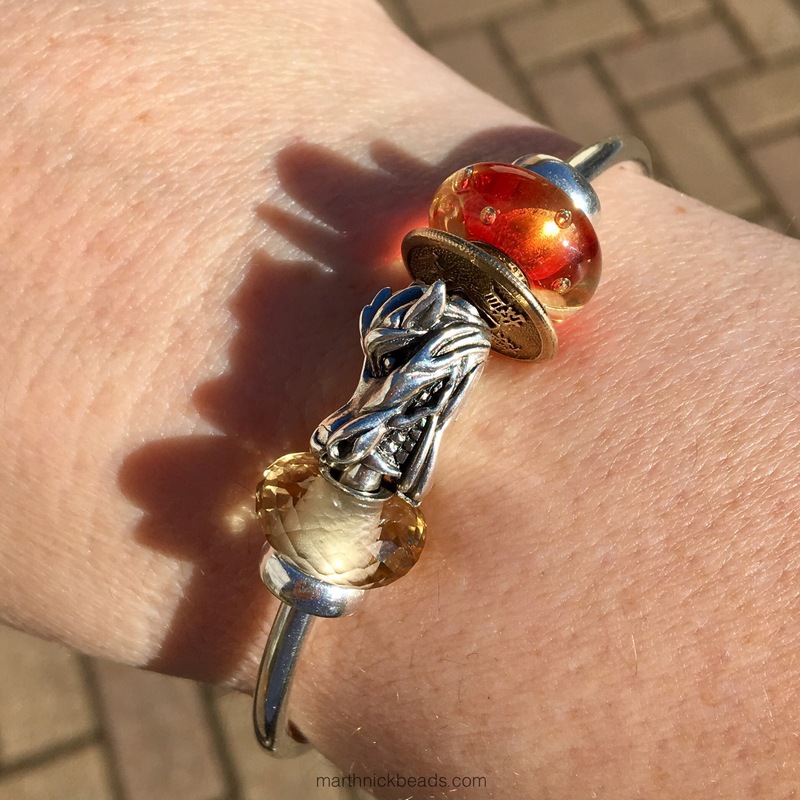 You can get it with a core for Trollbeads bracelets or for Pandora and Ohm bracelets! I think the detail is gorgeous and that the dragon looks very elegant, yet fierce. 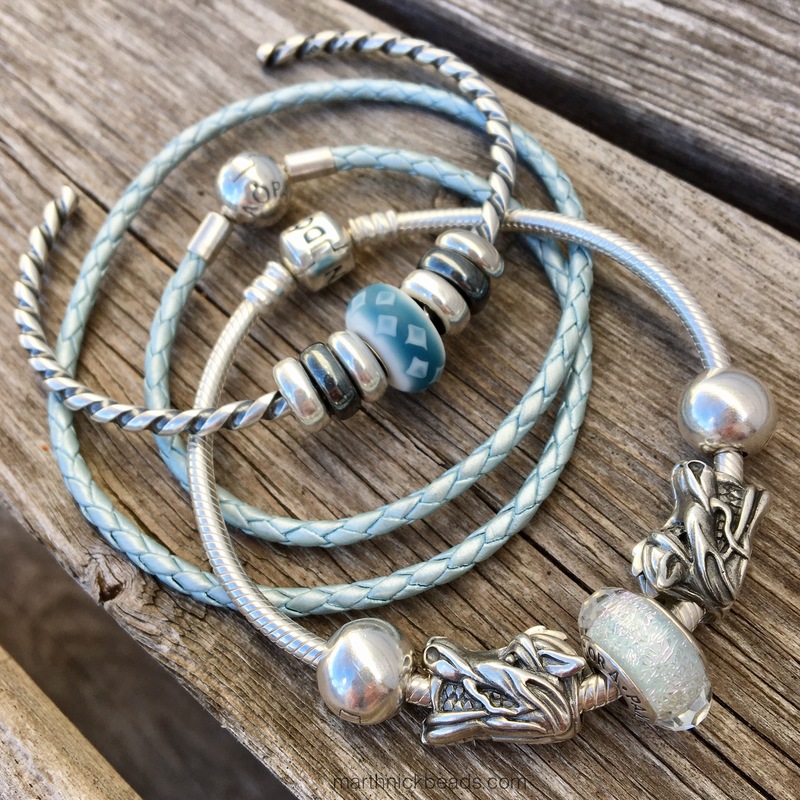 These two fit on Pandora bracelets, so I made up a combo using the Frosty Mint Shimmer Murano. I really love them on leather! I actually think the only souvenir I brought back was this Starbucks mug–which happens to be perfect! 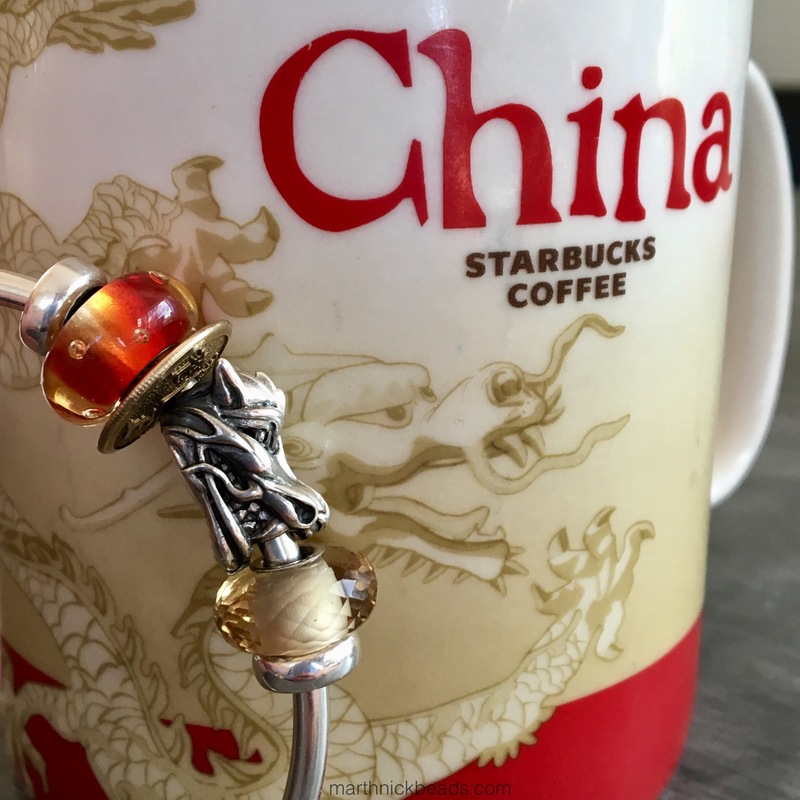 The red bead is a Trollbeads unique and at the Dragon’s mouth is a Faceted Citrine, also from Spirit Beads. In addition I used the Brass Chinese Lucky Coin. Also in the beadmail was the hard to find Trollbeads Kimono Kit!! 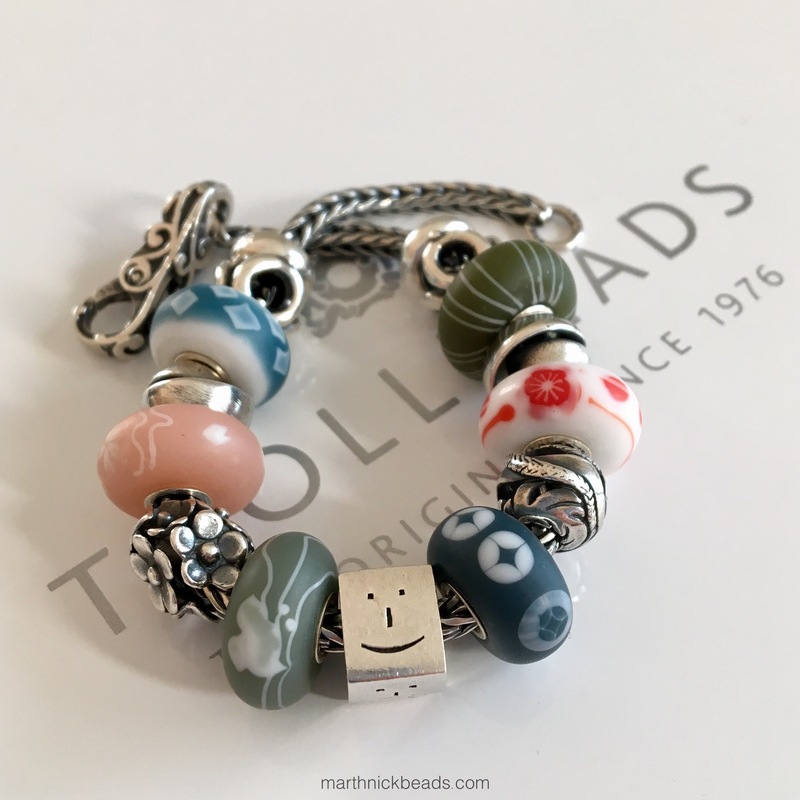 For those readers new to Trollbeads, the Kimono Kit left the collection in 2011 and was designed by Nozomi Kaji, who also designed the Roses for Mom and Deep Ocean beads. The glass is made from Japanese glass and has a lovely matte finish. For the final combo I wanted to combine the new Chinese inspired Spirit Beads with the older Japanese inspired Spirit Beads and then I put the bracelet on some Korean celadon. I did a blog post on the Daruma here and the Maneki-Neko here. Hope you’ve enjoyed this look at the Dragons! Do let me know if you already have one or if it’s going on the list! The spirit bead silvers amd the kimono kit is great! I also love the bangle channeling the Starbucks mug. 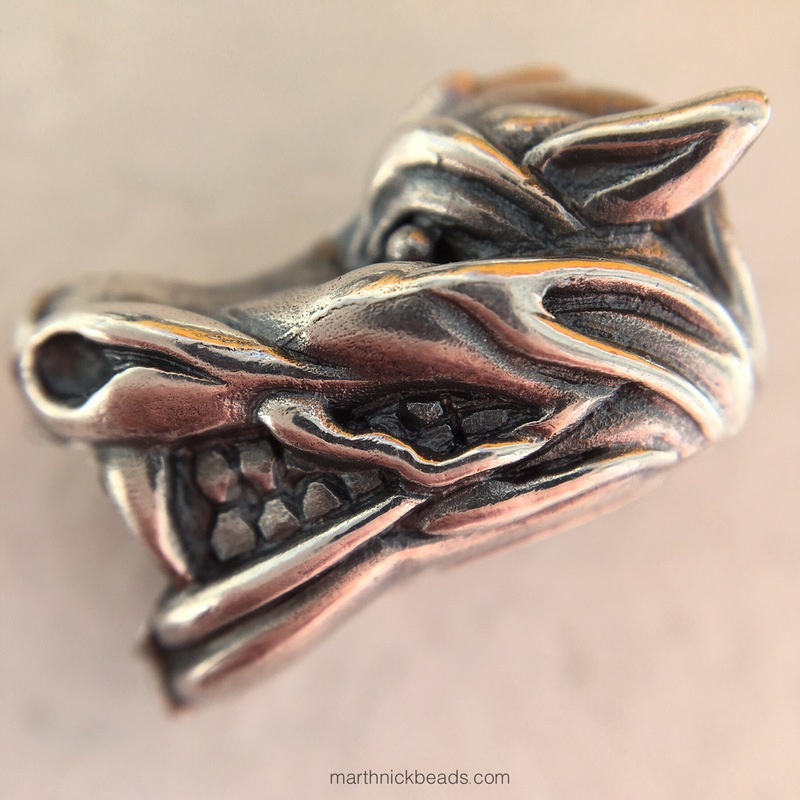 This dragon, a brass coin and one of those faceted citrines are adding to my list. 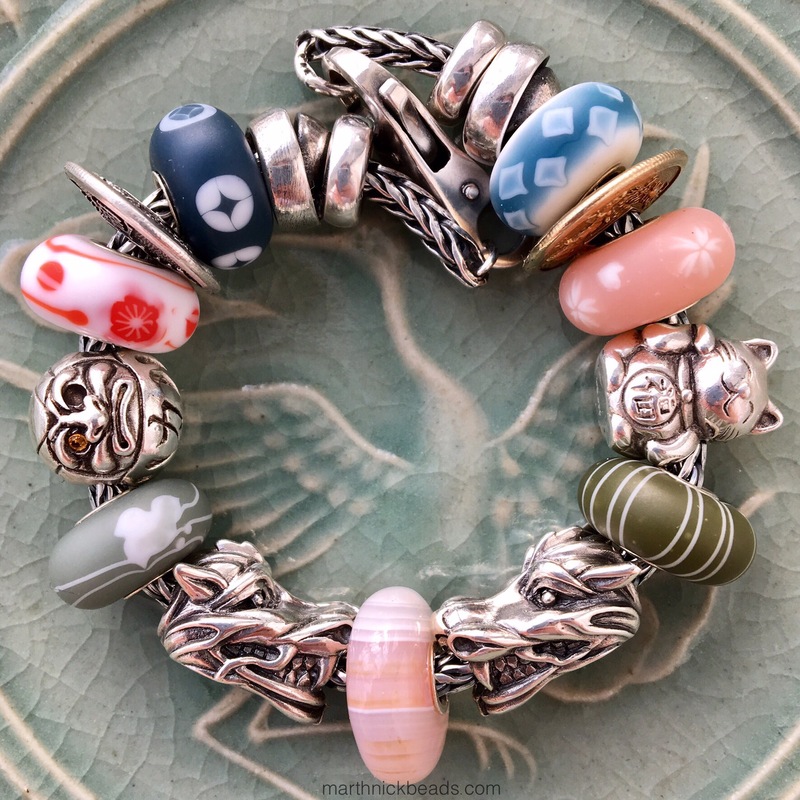 Wouldn’t a lantern bead be so nice, too…someday? Elise, did you ever see the Pandora Red Lantern? Or do you mean a lantern that sits on a table? Either way, I think these beads are really great. The detail is so nicely executed. The Faceted Citrine bead is a real stunner. I’m wearing it on a necklace for work today and will be happy to glance down at it. Glad you like the beads! The dragon is definitely going on the wishlist. I love it. Thanks for showing how it looks on various types of bracelets. Sarah, I’m so glad you enjoyed these photos. I look forward to seeing you again because I think you’d really enjoy seeing and touching these beads in person. I hope you have a lovely day shopping and I can’t wait to see what you buy! Hi Martha, Your last bracelet is amazing! I love Asian influenced designs and the Dragons are perfect. And I am loving the dragon wall! Hi Suzanne-I’m glad you liked the Dragons. 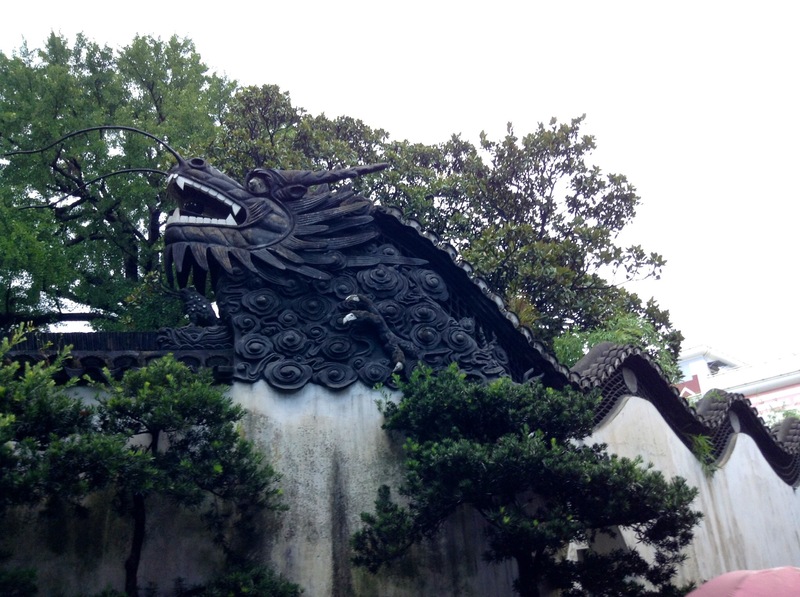 That wall is in the Yu Gardens in Shanghai-a must do if you are ever there! 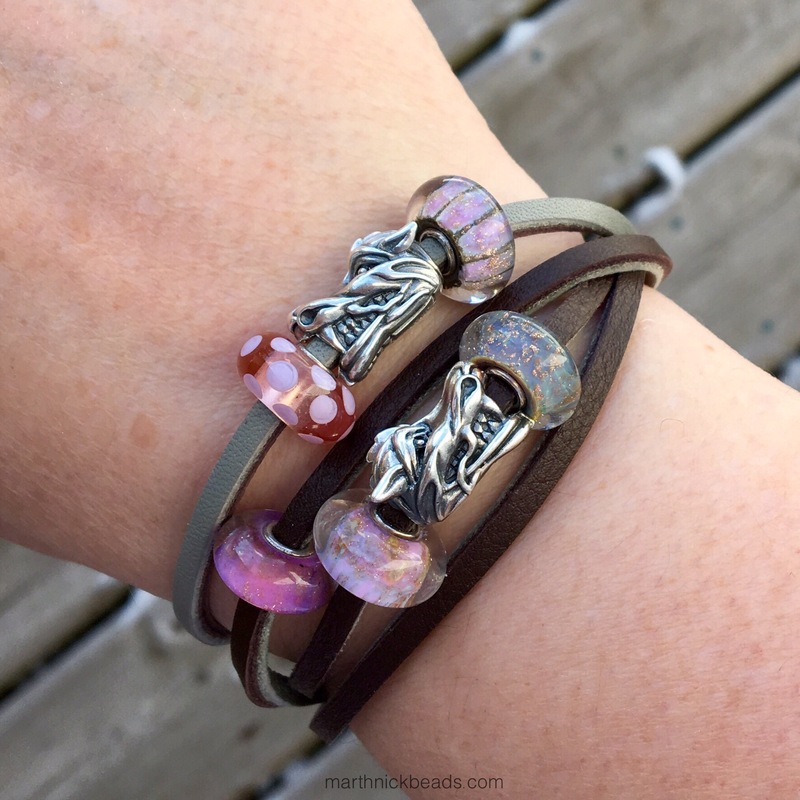 Love the dragons on leather, love the pink beads and Frosty Mint Shimmer Murano, love the Kimono Kit, love your travel photos. Lots and lots to love! Thanks Marisa. And how awesome that you just got the Kimono Kit!